FOUDY CPA GROUP, PC offers audit and assurance services to all kinds of growing businesses and non-profit organizations. When we conduct an internal business audit, we'll deliver the highest level of assurance to your investors and creditors. If your business is preparing for a merger or considering a strategic acquisition, we can provide risk management services and due diligence. Our audits for non-profit organizations will enable them to secure funding by providing financial transparency to potential donors. We also offer reviews and compilations when limited or no assurance is required. Whatever your needs, all our audit and assurance services are designed to instill confidence that your records are an accurate and honest representation of the current financial condition of your business or organization. 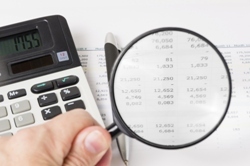 As a trusted Fort Wayne, IN CPA firm with a reputation for integrity, you can be sure that we'll conduct a fair and objective examination of your finances. We'll perform a methodical review of financial statements, analyze internal controls and test selected transactions in order to deliver a detailed report documenting our findings. Contact us at Fort Wayne: 260-432-4565 or Bluffton: 260-824-1040 or request a free consultation online to learn more about our audit services. We'll help you decide if an audit, compilation, or review is appropriate in your case. FOUDY CPA GROUP, PC employs the highest standards of quality and ethics in conducting all our audit and assurance services. We'll also share our insights for tightening up and improving internal controls.